As more people realize that good health is one of their most valuable assets, the role of wellness program coordinator becomes more prominent in private industry, the public sector and local communities. True wellness consists of positive physical, emotional and spiritual health, but most wellness coordinators primarily focus on promoting human physical and emotional health. People who have knowledge of wellness best practices and motivational skills are in great demand in a society where obesity rates are soaring and are only matched by rising numbers of people with degenerative diseases. When members of society stop looking for the latest quick weight loss pill and get serious about developing healthy lifestyles, they often meet wellness program coordinators during their quest for vibrant health. Here are some of the specific duties of these wellness professionals, the educational path that they often take for their profession and job prospects that are available to them. 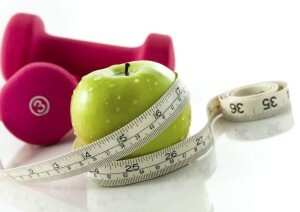 The job activities of wellness program coordinators involve research, assessment and instruction. For example, these wellness professionals perform targeted research of clients’ behaviors and attitudes towards wellness issues. They proceed to inform groups and individuals about what encompasses a healthy lifestyle; wellness professionals usually promote the consumption of a wide variety of vegetables and fruit as well as the performance of daily exercise. These wellness professionals have a series of medical tests like blood pressure and blood glucose exams performed on clients to determine their actual health status, and they generate customized plans of action to help clients make progress towards optimal health. Wellness coordinators check the progress of their clients and motivate them to continue with their plans until their clients have developed healthy lifestyles. Wellness program coordinators have undergraduate degrees from accredited universities. Most aspiring wellness coordinators major in exercise science or nutritional science. Modern degree programs in these areas place emphasis on classroom theory as well as experiential learning opportunities like work study programs and internship assignments. Besides university degrees, most wellness program coordinators gain specialized professional development training that often leads to certification. For example, the National Wellness Institute offers the Worksite Wellness Program Manager course that leads to certification. The course is for wellness managers or assistant managers who want to hone their skills for planning, structuring and executing wellness programs within corporate groups. Departments within the federal government like the military often hire wellness program coordinators to help civilians and military members to stay fit for their duties. These health professionals can work on military bases around the world. Private corporations also employ wellness program coordinators to create a healthier workforce that is less dependent on increasingly expensive healthcare benefits. Social advocacy non-profit organizations also use the talents of wellness coordinators to educate community members and empower them to take charge of their own health status. Most people are aware that they can not purchase great health at their local vitamin supplement discount center. Vibrant health comes from a combination of lifestyle factors that include a clean diet, adequate exercise, an unpolluted environment and light filled, positive thought patterns. A wellness program coordinator can offer groups and individuals the tools that they need to overcome physical and emotional hurdles that get in the way of good health.